Another book is to be launched next month in the beachtown Durban (South Africa). 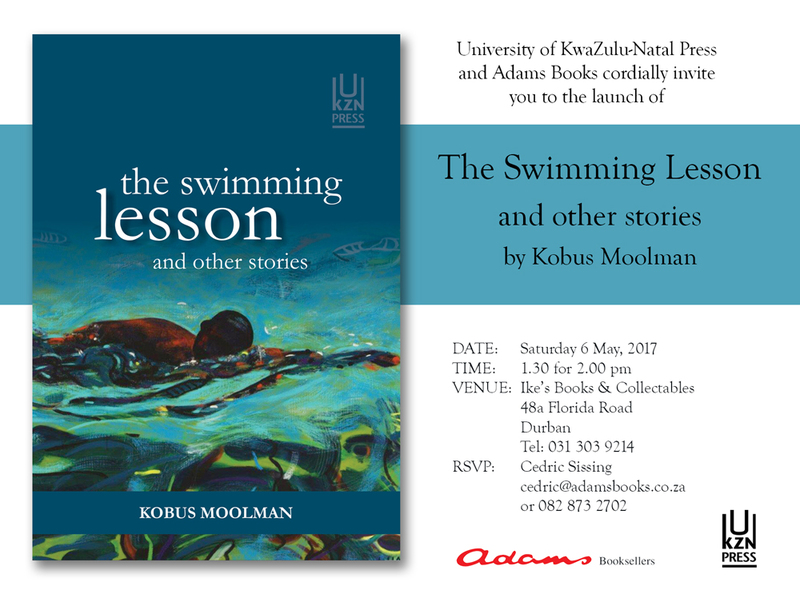 The writer is Kobus Moolman and the title of the book is Swimming Lessons and Other Stories. The launch is during the daytime and please make a reservation if you want to attend. It is not needed to bring your swimming certificate.